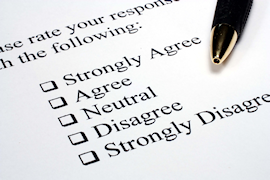 Employee engagement assessments are a tremendous diagnostic tool. Employee engagement assessments are a tremendous diagnostic tool to understand a prospective client and their employees, providing the foundation for the consultant to give counsel. The faster you can build transparency and credibility with a relationship, the more you will be able to impact their world. Assessments provide opportunities for meaningful discussions about the internal dynamics of an organization. Offering a free employee engagement assessment minimizes initial resistance to investing in a discussion, and addresses the first obstacle, “Do you understand my organization?” It also positions the consultant and their prospective clients on equal footing to evaluate and dissect the assessment results and identify opportunities that impact organizational performance. As a potential client is confronted with “reality” from their employee’s perspective, your conversations become more focused and collaborative. When evaluating employee engagement assessment results, the consultant can quickly analyze employee feedback and focuses on extreme outliers. Assessments have even more relevance when compared to baseline results of similar companies by industry or employment, which builds your credibility and a conviction to act. This creates a tipping-point for consultants. When a business owner acknowledges opportunities for improved performance, control, or work-life balance, they will welcome a discussion on initiatives and solutions that deliver an ROI. Visiam’s employee engagement assessment is free to use, enabling you to present specific data and actionable solutions that contribute to an organization’s performance. We invite you to offer our free assessment to prospective clients as a path to a long-term relationship. Once you and your client identify the organization’s critical path to engaging employees and organizational performance, you can present your service in the form of a product that is tightly packaged, with a pre-defined scope and a set price. Visiam offers a cloud-based platform for delivering your service as a tangible product, that enables you to remain virtually integrated within your client’s operation. Technology automates processes for effective and efficient delivery. But the key is, with the help of technology your services can be easily presented as a tangible product. For more information, please click here or visit us on LinkedIn.